Mirsad Kandic was a Kosovo-born U.S. legal permanent resident who traveled from New York to Istanbul, Turkey, in 2013 to work as a recruiter for ISIS. In this role, he made arrangements for foreign fighters from around the world to travel to Iraq and Syria to join ISIS, including Australian teenager Jake Bilardi who carried out a suicide attack in March 2015. Kandic also worked for the terrorist group’s media arm, managing more than 100 propaganda accounts on Twitter.“New York Resident Charged With Providing Material Support to ISIS, Extradited to United States,” U.S. Department of Justice, November 1, 2017, https://www.justice.gov/opa/pr/new-york-resident-charged-providing-material-support-isis-extradited-united-states. 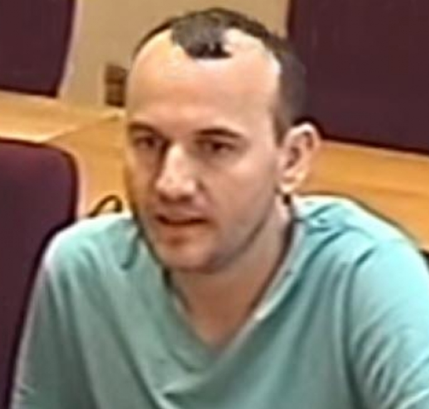 Kandic relocated to Bosnia in January 2017, where he went into hiding, and was arrested by Bosnian authorities in July.Brendan Pierson, “Former Brooklyn resident charged in U.S. with aiding Islamic State,” Reuters, November 1, 2017, https://www.reuters.com/article/us-usa-crime-islamic-state/former-brooklyn-resident-charged-in-u-s-with-aiding-islamic-state-idUSKBN1D15L4; “Mektić o hapšenju u Sarajevu: Saradnik ISIL-a koristio deset identiteta,” Al Jazeera Balkans, November 1, 2017, http://balkans.aljazeera.net/vijesti/mektic-o-hapsenju-u-sarajevu-saradnik-isil-koristio-deset-identiteta. He was charged with one count of conspiracy and five counts of providing material support to a terrorist organization by a Brooklyn federal court in August and extradited to the United States on October 31 to await trial.Brendan Pierson, “Former Brooklyn resident charged in U.S. with aiding Islamic State,” Reuters, November 1, 2017, https://www.reuters.com/article/us-usa-crime-islamic-state/former-brooklyn-resident-charged-in-u-s-with-aiding-islamic-state-idUSKBN1D15L4; “United States of America v. Mirsad Kandic,” U.S. Department of Justice, August 27, 2017, https://www.justice.gov/opa/press-release/file/1008001/download. Kandic was born in Kosovo in 1981.“Mektić o hapšenju u Sarajevu: Saradnik ISIL-a koristio deset identiteta,” Al Jazeera Balkans, November 1, 2017, http://balkans.aljazeera.net/vijesti/mektic-o-hapsenju-u-sarajevu-saradnik-isil-koristio-deset-identiteta. Sometime before 2005, he immigrated to the United States, where he became a legal permanent resident and resided in the Bronx and Brooklyn, New York. In 2005, Kandic reportedly expressed a desire to travel to the Middle East and wage violent jihad against U.S. military forces. He was placed on the U.S. no-fly list.“United States of America v. Mirsad Kandic,” U.S. Department of Justice, August 27, 2017, https://www.justice.gov/opa/press-release/file/1008001/download; “New York Resident Charged With Providing Material Support to ISIS, Extradited to United States,” U.S. Department of Justice, November 1, 2017, https://www.justice.gov/opa/pr/new-york-resident-charged-providing-material-support-isis-extradited-united-states; Emily Saul, “Brooklyn-man-turned-ISIS propagandist extradited to US,” New York Post, November 1, 2017, http://nypost.com/2017/11/01/brooklyn-man-turned-isis-%E2%80%8Bpropagandist-extradited-to-us/. Kandic traveled to Istanbul, Turkey in December 2013, reportedly using fake documents to circumvent his designation on the no-fly list.“Ex-New Yorker accused of trying to recruit for ISIS,” CBS News, November 1, 2017, https://www.cbsnews.com/news/ex-new-yorker-accused-of-trying-to-recruit-for-isis/; “New York Resident Charged With Providing Material Support to ISIS, Extradited to United States,” U.S. Department of Justice, November 1, 2017, https://www.justice.gov/opa/pr/new-york-resident-charged-providing-material-support-isis-extradited-united-states. He joined ISIS and worked for the group from Turkey. In his primary role as recruiter, Kandic communicated with potential foreign fighter recruits and helped them arrange documentation and travel plans so that they could travel to Iraq and Syria and join ISIS. Kandic allegedly recruited individuals from around the world, including the United States, the United Kingdom, and Australia.Brendan Pierson, “Former Brooklyn resident charged in U.S. with aiding Islamic State,” Reuters, November 1, 2017, https://www.reuters.com/article/us-usa-crime-islamic-state/former-brooklyn-resident-charged-in-u-s-with-aiding-islamic-state-idUSKBN1D15L4; “United States of America v. Mirsad Kandic,” U.S. Department of Justice, August 27, 2017, https://www.justice.gov/opa/press-release/file/1008001/download; “New York Resident Charged With Providing Material Support to ISIS, Extradited to United States,” U.S. Department of Justice, November 1, 2017, https://www.justice.gov/opa/pr/new-york-resident-charged-providing-material-support-isis-extradited-united-states. In a recorded voice memo to an ISIS associate, Kandic reportedly stated that he recruited over 20,000 individuals in total.“New York Resident Charged With Providing Material Support to ISIS, Extradited to United States,” U.S. Department of Justice, November 1, 2017, https://www.justice.gov/opa/pr/new-york-resident-charged-providing-material-support-isis-extradited-united-states. One of Kandic’s recruits was Jake Bilardi, an Australian teenager known as “Jihadi Jake” who traveled to the Middle East in August 2014. Kandic helped Bilardi arrange his travel from Melbourne to Istanbul, and also encouraged him to carry out a suicide attack, stating that he hoped that his organs would “implode.” After Bilardi carried out a suicide attack in Ramadi, Iraq, on March 11, 2015, Kandic publicized the attack on Twitter.Brendan Pierson, “Former Brooklyn resident charged in U.S. with aiding Islamic State,” Reuters, November 1, 2017, https://www.reuters.com/article/us-usa-crime-islamic-state/former-brooklyn-resident-charged-in-u-s-with-aiding-islamic-state-idUSKBN1D15L4; “New York Resident Charged With Providing Material Support to ISIS, Extradited to United States,” U.S. Department of Justice, November 1, 2017, https://www.justice.gov/opa/pr/new-york-resident-charged-providing-material-support-isis-extradited-united-states; Jared Owens and Paul Maley, “Aussie teen Jake Bilardi carries out suicide bombing says Islamic State,” Australian (Surry Hills), March 12, 2015, http://www.theaustralian.com.au/news/aussie-teen-jake-bilardi-carries-out-suicide-bombing-says-islamic-state/news-story/bafd57d595452aa84600ece89fe98043. Kandic also managed some of ISIS’s social media accounts and propagandized on behalf of the group. He controlled more than 100 Twitter accounts through which he provided updates about ISIS’s attacks and territorial gains.“New York Resident Charged With Providing Material Support to ISIS, Extradited to United States,” U.S. Department of Justice, November 1, 2017, https://www.justice.gov/opa/pr/new-york-resident-charged-providing-material-support-isis-extradited-united-states. He also expressed praise for major ISIS-claimed terror attacks around the world, including the May 2015 shooting in Garland, Texas, and the November 2015 Paris attacks.Emily Saul, “Brooklyn-man-turned-ISIS propagandist extradited to US,” New York Post, November 1, 2017, http://nypost.com/2017/11/01/brooklyn-man-turned-isis-%E2%80%8Bpropagandist-extradited-to-us/. Kandic reportedly also used WhatsApp to communicate with high-ranking ISIS officials.“OPASNI SARADNIK ISIL-A IZRUČEN SAD-u: Teroristički logističar skrivao se pola godine na Grbavici!” Oslobođenje (Sarajevo), October 31, 2017, https://www.oslobodjenje.ba/vijesti/bih/opasni-saradnik-isil-a-izrucen-sad-u-teroristicki-logisticar-skrivao-se-pola-godine-na-grbavici. In one online communication, Kandic stated that he worked in ISIS’s Border Office in Turkey and helped to conduct background checks of foreign fighter recruits. He also stated that he frequently traveled into ISIS territory, including ISIS’s de facto capital of Raqqa, Syria, for his work.“New York Resident Charged With Providing Material Support to ISIS, Extradited to United States,” U.S. Department of Justice, November 1, 2017, https://www.justice.gov/opa/pr/new-york-resident-charged-providing-material-support-isis-extradited-united-states. According to Bosnian Minister of Security Dragan Mektić, Kandic also oversaw weapons supply and was the head of ISIS’s intelligence service.“Mektić o hapšenju u Sarajevu: Saradnik ISIL-a koristio deset identiteta,” Al Jazeera Balkans, November 1, 2017, http://balkans.aljazeera.net/vijesti/mektic-o-hapsenju-u-sarajevu-saradnik-isil-koristio-deset-identiteta. The United States issued a warrant for Kandic’s arrest in 2014, and an Interpol Red Notice was issued for his arrest in 2016.“SAD: Mirsad Kandić optužen za pomaganje ISIL-u,” Al Jazeera Balkans, November 2, 2017, http://balkans.aljazeera.net/vijesti/sad-mirsad-kandic-optuzen-za-pomaganje-isil-u. In January 2017, Kandic relocated to Bosnia, entering the country under the alias “Ivan Popović.”Brendan Pierson, “Former Brooklyn resident charged in U.S. with aiding Islamic State,” Reuters, November 1, 2017, https://www.reuters.com/article/us-usa-crime-islamic-state/former-brooklyn-resident-charged-in-u-s-with-aiding-islamic-state-idUSKBN1D15L4; “Mektić o hapšenju u Sarajevu: Saradnik ISIL-a koristio deset identiteta,” Al Jazeera Balkans, November 1, 2017, http://balkans.aljazeera.net/vijesti/mektic-o-hapsenju-u-sarajevu-saradnik-isil-koristio-deset-identiteta. According to Bosnian Minister of Security Mektić, Kandic had at least ten false identities. Once in Bosnia, Kandic went into hiding under the alias “Edin Radončić.”“Mektić o hapšenju u Sarajevu: Saradnik ISIL-a koristio deset identiteta,” Al Jazeera Balkans, November 1, 2017, http://balkans.aljazeera.net/vijesti/mektic-o-hapsenju-u-sarajevu-saradnik-isil-koristio-deset-identiteta. However, after a transmission on his mobile phone alerted Bosnian authorities of his presence in the country in January, they immediately launched a search for him.“OPASNI SARADNIK ISIL-A IZRUČEN SAD-u: Teroristički logističar skrivao se pola godine na Grbavici!” Oslobođenje (Sarajevo), October 31, 2017, https://www.oslobodjenje.ba/vijesti/bih/opasni-saradnik-isil-a-izrucen-sad-u-teroristicki-logisticar-skrivao-se-pola-godine-na-grbavici. Bosnia’s State Investigation and Protection Agency discovered his location in Sarajevo on July 4 and arrested him shortly afterward.“Mektić o hapšenju u Sarajevu: Saradnik ISIL-a koristio deset identiteta,” Al Jazeera Balkans, November 1, 2017, http://balkans.aljazeera.net/vijesti/mektic-o-hapsenju-u-sarajevu-saradnik-isil-koristio-deset-identiteta. On August 17, a federal court in Brooklyn charged him with one count of conspiracy and five counts of providing material support to a terrorist organization, which carry the possibility of a life prison sentence if convicted.“United States of America v. Mirsad Kandic,” U.S. Department of Justice, August 27, 2017, https://www.justice.gov/opa/press-release/file/1008001/download; “New York Resident Charged With Providing Material Support to ISIS, Extradited to United States,” U.S. Department of Justice, November 1, 2017, https://www.justice.gov/opa/pr/new-york-resident-charged-providing-material-support-isis-extradited-united-states; “Ex-New Yorker accused of trying to recruit for ISIS,” CBS News, November 1, 2017, https://www.cbsnews.com/news/ex-new-yorker-accused-of-trying-to-recruit-for-isis/. Kandic was extradited to the United States on October 31, and pleaded not guilty to the charges against him the following day in Brooklyn federal court.Brendan Pierson, “Former Brooklyn resident charged in U.S. with aiding Islamic State,” Reuters, November 1, 2017, https://www.reuters.com/article/us-usa-crime-islamic-state/former-brooklyn-resident-charged-in-u-s-with-aiding-islamic-state-idUSKBN1D15L4. Abdul Rahim“Optužnica protiv Kandića: Lažni dokumenti, identiteti i pružanje podrške ISIL-u,” Oslobođenje (Sarajevo), November 1, 2017, https://www.oslobodjenje.ba/vijesti/bih/kandic-optuzen-za-pruzanje-materijalne-podrske-isis-u-te-izrucen-sad-u. Abdul Rahim Al Bosni“Optužnica protiv Kandića: Lažni dokumenti, identiteti i pružanje podrške ISIL-u,” Oslobođenje (Sarajevo), November 1, 2017, https://www.oslobodjenje.ba/vijesti/bih/kandic-optuzen-za-pruzanje-materijalne-podrske-isis-u-te-izrucen-sad-u. Abu Khaled Al Turki“Optužnica protiv Kandića: Lažni dokumenti, identiteti i pružanje podrške ISIL-u,” Oslobođenje (Sarajevo), November 1, 2017, https://www.oslobodjenje.ba/vijesti/bih/kandic-optuzen-za-pruzanje-materijalne-podrske-isis-u-te-izrucen-sad-u. Abul Rahim Al Bosni“Optužnica protiv Kandića: Lažni dokumenti, identiteti i pružanje podrške ISIL-u,” Oslobođenje (Sarajevo), November 1, 2017, https://www.oslobodjenje.ba/vijesti/bih/kandic-optuzen-za-pruzanje-materijalne-podrske-isis-u-te-izrucen-sad-u. Al Bosni Abdula Rahim“OPASNI SARADNIK ISIL-A IZRUČEN SAD-u: Teroristički logističar skrivao se pola godine na Grbavici!” Oslobođenje (Sarajevo), October 31, 2017, https://www.oslobodjenje.ba/vijesti/bih/opasni-saradnik-isil-a-izrucen-sad-u-teroristicki-logisticar-skrivao-se-pola-godine-na-grbavici. Edin Radončić“Mektić o hapšenju u Sarajevu: Saradnik ISIL-a koristio deset identiteta,” Al Jazeera Balkans, November 1, 2017, http://balkans.aljazeera.net/vijesti/mektic-o-hapsenju-u-sarajevu-saradnik-isil-koristio-deset-identiteta. Fires Alfi“Optužnica protiv Kandića: Lažni dokumenti, identiteti i pružanje podrške ISIL-u,” Oslobođenje (Sarajevo), November 1, 2017, https://www.oslobodjenje.ba/vijesti/bih/kandic-optuzen-za-pruzanje-materijalne-podrske-isis-u-te-izrucen-sad-u. Ivan Popović“Mektić o hapšenju u Sarajevu: Saradnik ISIL-a koristio deset identiteta,” Al Jazeera Balkans, November 1, 2017, http://balkans.aljazeera.net/vijesti/mektic-o-hapsenju-u-sarajevu-saradnik-isil-koristio-deset-identiteta. Kandoq Mirsad“OPASNI SARADNIK ISIL-A IZRUČEN SAD-u: Teroristički logističar skrivao se pola godine na Grbavici!” Oslobođenje (Sarajevo), October 31, 2017, https://www.oslobodjenje.ba/vijesti/bih/opasni-saradnik-isil-a-izrucen-sad-u-teroristicki-logisticar-skrivao-se-pola-godine-na-grbavici. Mirsad Abdulrahim“Optužnica protiv Kandića: Lažni dokumenti, identiteti i pružanje podrške ISIL-u,” Oslobođenje (Sarajevo), November 1, 2017, https://www.oslobodjenje.ba/vijesti/bih/kandic-optuzen-za-pruzanje-materijalne-podrske-isis-u-te-izrucen-sad-u. Mirsad Kandok“Optužnica protiv Kandića: Lažni dokumenti, identiteti i pružanje podrške ISIL-u,” Oslobođenje (Sarajevo), November 1, 2017, https://www.oslobodjenje.ba/vijesti/bih/kandic-optuzen-za-pruzanje-materijalne-podrske-isis-u-te-izrucen-sad-u. Rahim Abdul“OPASNI SARADNIK ISIL-A IZRUČEN SAD-u: Teroristički logističar skrivao se pola godine na Grbavici!” Oslobođenje (Sarajevo), October 31, 2017, https://www.oslobodjenje.ba/vijesti/bih/opasni-saradnik-isil-a-izrucen-sad-u-teroristicki-logisticar-skrivao-se-pola-godine-na-grbavici. Mirsad Kandic was a Kosovo-born U.S. legal permanent resident who traveled from New York to Istanbul, Turkey, in 2013 to work as a recruiter for ISIS. 07/2017: material support et al. “City of #garland in Texas, USA, where they insulted the Prophet of Islam last year. May they perish and suffer more.”Emily Saul, “Brooklyn man-turned-ISIS propagandist extradited to US,” New York Post, November 1, 2017, http://nypost.com/2017/11/01/brooklyn-man-turned-isis-%E2%80%8Bpropagandist-extradited-to-us/. “America in fear.! The NYPD have said they will have more officers on the streets in response to the terrorist attacks in Paris this evening.”Emily Saul, “Brooklyn man-turned-ISIS propagandist extradited to US,” New York Post, November 1, 2017, http://nypost.com/2017/11/01/brooklyn-man-turned-isis-%E2%80%8Bpropagandist-extradited-to-us/. “May Allah make there [sic] inner organs implode.”“New York Resident Charged With Providing Material Support to ISIS, Extradited to United States,” U.S. Department of Justice, November 1, 2017, https://www.justice.gov/opa/pr/new-york-resident-charged-providing-material-support-isis-extradited-united-states. “I have a lot of Mujahideen in Europe, a lot.”“New York Resident Charged With Providing Material Support to ISIS, Extradited to United States,” U.S. Department of Justice, November 1, 2017, https://www.justice.gov/opa/pr/new-york-resident-charged-providing-material-support-isis-extradited-united-states. “I sent out over 20,000 brothers…to Sham.”“New York Resident Charged With Providing Material Support to ISIS, Extradited to United States,” U.S. Department of Justice, November 1, 2017, https://www.justice.gov/opa/pr/new-york-resident-charged-providing-material-support-isis-extradited-united-states.